Participate in a live workshop discussion about the idea of ‘home’. This event takes its starting point from the Donald Rodney work My Mother, My Father, My Sister, My Brother (1996-97) in which Rodney’s own skin forms a minuscule house-like structure held together by pins. 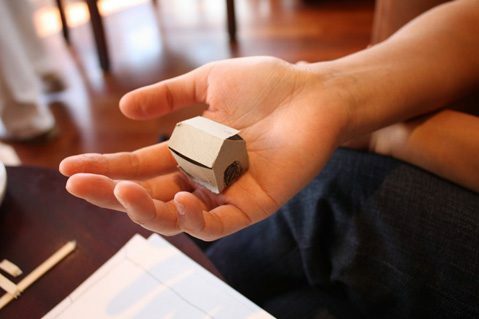 This tiny sculpture exudes a sense of intimacy and domesticity. The workshop considers the conflicting fragility and comfort of the concept of home. You are invited to join the discussion, build a house and explore what ‘home’ might mean. The resulting work will form an ongoing installation in the Education Space. 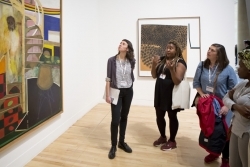 Taking conversation as their theme, the INIvators (Iniva’s youth advisory board) with artist Kulwinder Bajar have programmed a series of events and an installation inspired by the practice of the late Donald Rodney. The project has been designed to consider how conversation can affect us, move us and produce change, as well as to open up the conversations that Donald Rodney’s work continues.